Home > News > What Makes a Great Workplace? A new book applies science to figuring out how to build a place where people actually look forward to work. Many of my friends really dread their jobs. They complain about employers who treat them like machinery—there to churn out whatever is required of them, regardless of the cost to their motivation, creativity or personal health. Their bosses seem to expect that they work long hours and stay glued to cell phones at night, but then show little appreciation or, worse, micromanage them. No one likes it; but what alternatives are there when employers have deadlines to meet or products to develop? Plenty, according to psychologist Ron Friedman. 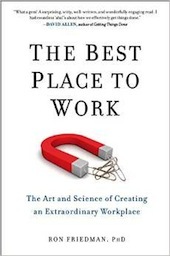 In his new book, The Best Place to Work: The Art and Science of Creating an Extraordinary Workplace. Friedman, a psychologist and business consultant, distills decades of research on motivation, creativity, and performance to provide both business leaders and their employees with useful tips for restructuring work environments to increase innovation, efficiency, and even joy in the workplace. This idea comes from research on creativity showing that creative solutions most often come not from individual brilliance but from giving people the freedom try many different solutions to see which one works best. But, who can be a creative problem solver when stressed or when fearing retribution from a boss? 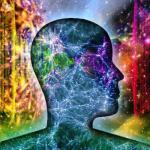 We literally drain our brains of needed cognitive resources when we are in an anxiety-induced “fight or flight” mode. That’s why it behooves employers to give their employees permission to fail and to learn from their mistakes: it’s the path to innovation. Friedman makes several other provocative suggestions for employers wanting to get ahead. For example, he suggests that they encourage employees to pursue outside interests on company time or to take frequent rests or even short naps on the job. Both of these have been shown help people to broaden their thinking and to make cognitive connections, which is important for innovation and job efficiency. And, for employees wanting to increase their work satisfaction, asking for more challenge and variety in job assignments or practicing gratitude can make a big difference in your happiness and productivity. Additionally, he suggests that employers challenge employees without overwhelming them and empower them to find their own best approach to getting the job done (which may mean a flex schedule or working from home). And he provides employers tips for managing mood (important, since moods are contagious) and for thanking employees in ways that increase rather than kill motivation. Overall, Friedman recommends fostering three things for better workplace environments: autonomy (employees having more control over their work), competence (employees having the tools they need to succeed), and relatedness (better social bonds at work). Though relatedness may be the most overlooked aspect of employee engagement, researchers who study predictors of productivity in the workplace have found that having a best friend at work has many benefits, including increasing employee focus, passion, and loyalty, and decreasing sick time and workplace accidents. How to encourage friendships at work? “Proximity, familiarity, similarity, and self-disclosure all play a role,” writes Friedman. “The trick is to create the conditions that naturally foster these elements and integrate them into the work environment.” He suggests employers pay for activities that bring workers together in a shared activity, such as attending a yoga class or working together on a community project, or create break rooms or other communal spaces so that this happens naturally. But while our social networks are important to nurture, Friedman warns against encouraging workplace gossip, which can have detrimental impacts on a business. Though it might be tempting to simply outlaw gossip, Friedman suggests instead that employers try to use gossip as a way to understand what’s going on interpersonally at work. Gossip often suggests that someone is feeling powerless in a situation or needs help and encouragement to succeed, he writes, and employers would do well to role-model transparency and a willingness to listen rather than prohibiting gossip or, worse, engaging in it themselves. Friedman’s main message is that workplaces have a lot of room for improvement, and that paying attention to what we’ve learned from the science is a good idea. The old factory model of workplace efficiency—where each worker cog in the system is expected to do what he’s told to do without an understanding of how he’s contributing or the power to control his efforts—is outdated in our information economy. Instead, employers need to find the ways that they can encourage their most important asset—their employees—and strategically foster greater workplace innovation, productivity, and harmony. This article is printed here with permission from the Greater Good Science Center (GGSC). Based at UC Berkeley, the GGSC studies the psychology, sociology, and neuroscience of well-being, and teaches skills that foster a thriving, resilient, and compassionate society. You can learn more about the science and power of gratitude at the Greater Good Gratitude Summit. 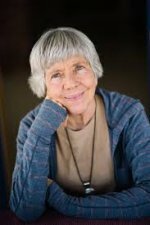 The author, Jill Suttie, Psy.D., is Greater Good‘s book review editor and a frequent contributor to the magazine. When your kid walks in the room, does your face light up?